For the first time in a long time was confident we would salvage a point at the end...and we did. 3 games without a loss. Nice to see Bridge back. Goodbye Soulless Stadium. You can have the Easter Show , that's it... I support the RBB's silent stand. Your treatment by those who don't get football Is shameful. However, pleeeeaaassseee make an exception for the derby. You can inspire the whole club to send ESFC home crying. IMO....Nothing is more important to our club at the moment. I have been asked to watch injury time in the other room. Lol. Victory lap around the house coming up. Am home and dry with a strong drink and a keyboard.....I know this is a rant, but if you care deeply about something you cannot standby and watch it slowly die. I went early tonight to watch the Y League GF and watched a team that tried hard but unfortunately was outclassed on the night. Well done boys on a fine season, the first team could learn a lot from you. As for the the first team.... Newcastle had scored fewer goals than anyone this season so I was hopeful. All I witnessed was a 7th straight loss at home and the worst performance I have ever seen from the club I love. I cannot comment on the 2nd half as I was on the train home...but the first half was a disgrace. That is the first time I have ever left at half time, despite threatening to do so before. 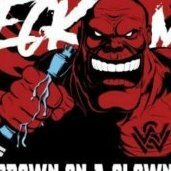 It was without doubt the most insipid, gutless and clueless performance I have seen in my 7 years as a Wanderers member. In my somewhat educated footballing opinion Roly and Bachus were the only ones having a go. Everybody else should hang their heads in shame. The atmosphere tonight was more funeral than football. God only knows how many ESFC, the Tards and the Glory will score against us As for the management.... The club is rotten from the the head down. Mr Lederer please walk away, and take all your mates with you. In 4 seasons under your watch we have gone from Asian Champions to the joke of the league. The track record under your ownership is pathetic. We have gotten progressively worse every year under your regime. Poor coaching appointments, even worse recruiting, allowing our best assts to leave or selling them and the shameful treatment of our most passionate fans is a reflection of your lack of understanding of football. You make Mike Ashley, Ellis Short and Ken Anderson look like gods. Large corporations in our situation restructure from the top down. Now is the time to start, with yourself at the head of the queue. I see the crowd posted was marginally over 7000 again. BULLS**T, lucky to have been 4000 and I reckon half of them were there for for the Y League game. Earlier in the week I posted that we as fans should NEVER GIVE UP. I still feel the same way. I feel much better now, and have talked the better half into attending next week against Mariners. She has concerns for my safety if I go on my own again. At 11pm last night, after sitting quietly on my own for an hour, the better half asks "if they make you so unhappy, why do you keep watching them??" I still don't have an answer to her question or to any of the many other questions in this topic..........but I will be there Friday night. Our team needs us more than ever. NEVER GIVE UP.